House and Street Unknown but could be Bristol area. Image taken circa 1913, the family used to live in Chesterfield Road, Bristol, the main views within the image are the large three storey houses and quite wide road. 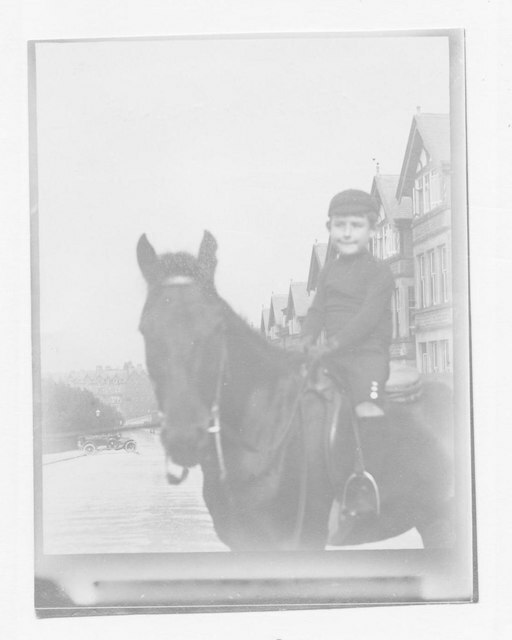 The child on the horse is known to have visited distant family members while back in UK from South Africa where they lived.